We are blessed at the Cathedral to be able to spend time with The Lord, in prayer and quiet contemplation. The Cathedral is open daily so that you can visit whenever it is convenient for you. 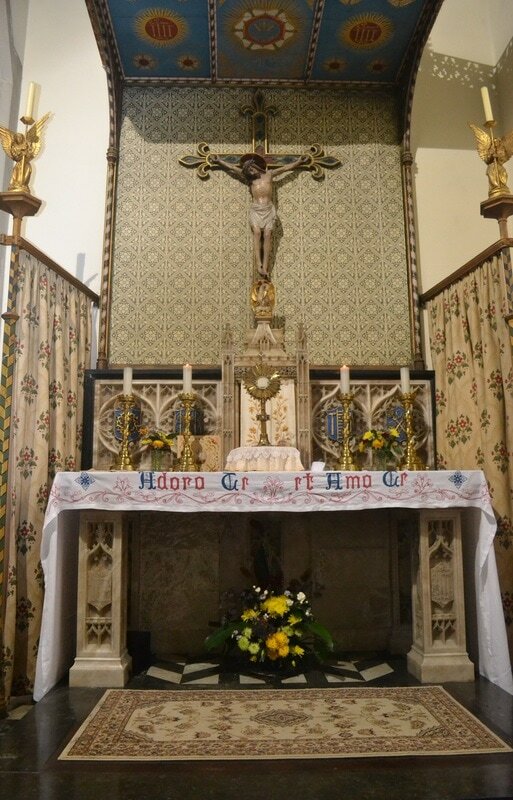 If you are a local to Plymouth you might want to spend time regularly with The Lord and you could consider taking a look at the rota, which is located in the Blessed Sacrament Chapel, and putting your name down. If you are a visitor you will be very welcome to spend some time in the peace and quiet of the Cathedral to listen to The Lord: He is always ready to be with you. For more information on the times when the Cathedral is open please visit our Opening Hours page.